Four-Seat BMW X8 To Become Brand's Most Expensive Model? It apparently already has a codename: G09. Max out the BMW X7 configurator and you’ll hit $122,425 for the fully loaded xDrive50i M Sport, but if your wallet can handle it, rumor has it a pricier SUV from Bavaria is en route. Reports about an X8 being in the pipeline have been going on for a while, and now undisclosed sources close to BMW’s agenda have told our friends at BMW Blog more about the possibility of a new flagship SUV. Allegedly codenamed G09, the fullsize luxobarge won’t take the shape of a coupe-ified X7 as some might’ve been tempted to assume. Instead, BMW wants to come out with an even more lavish SUV, probably to fill a gap between the X7 and the Rolls-Royce Cullinan. The opulent high-riding model will reportedly come with just four seats, with individual rear ones for utmost comfort. It’s unclear whether other interior configurations of the X8 are in the pipeline. 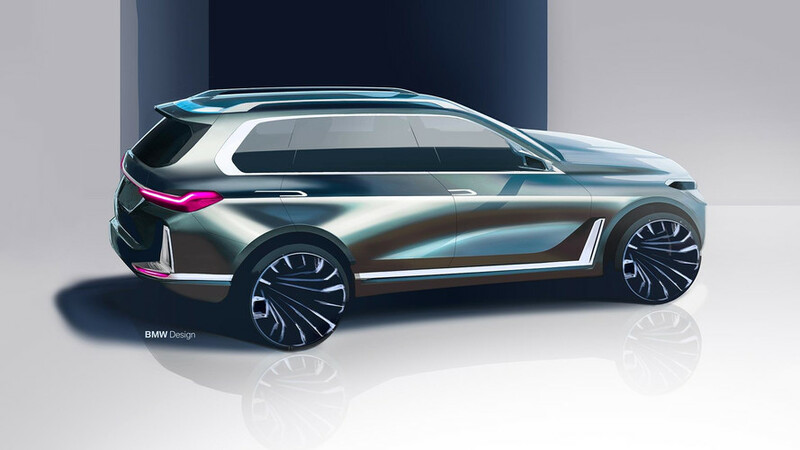 While BMW Blog reports the roofline will be changed compared to the X7, it will not be heavily sloped towards the rear like it is on the smaller X6 and X4. That means there should be ample headroom for passengers relaxing in the back and the trunk should be more than generous given the sheer size of the body. The report goes on to mention the X8 will “most likely become the priciest car with a BMW roundel,” which is quite interesting when you really think about it. Why is that? Because the Bavarians already have several models way more expensive than the X7: the $139,350 Alpina B7, the $147,500 i8 Coupe, the $156,700 M760i, and the $163,300 i8 Roadster. Even if it will cost more than the electrified droptop, it’ll still be a “bargain” compared to the aforementioned Rolls-Royce Cullinan and its eye-watering starting price of $325,000.